The Former Saint Craft Kitchen menu is crafted to celebrate to bond between food and drink. DENVER — All this week on 9NEWS mornings we're showcasing restaurants that are taking part in Denver Restaurant Week which runs through March 3. The Former Saint Craft Kitchen and Taps is located on 15th Street in Denver. The location once housed St. Mary's Academy, which in the 1880s had an enrollment of about 125 students, according to the restaurant's website. Their name pays homage to that school which closed in 1910. The restaurant opened in late 2018 and is testing out some items during this year's Restaurant Week. "We're going to throw a couple fun ideas in there for spring," said head chef Pierson Shields. "We want to test out a few spring menus that we dishes that we know are going to work but we really want to get some feedback on." 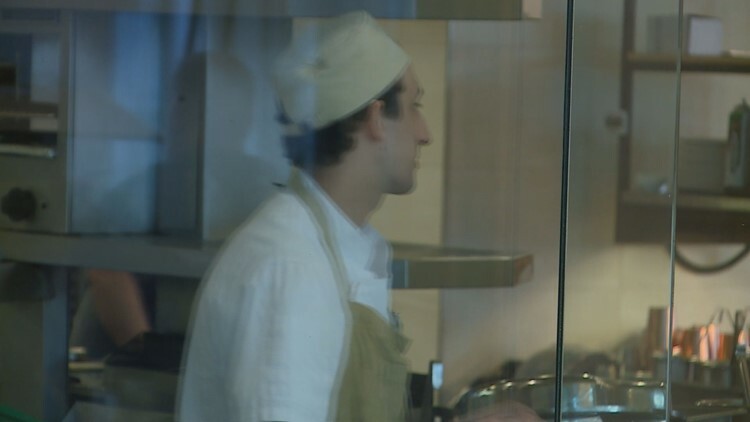 They also tout their unique atmosphere where customers can see right into the kitchen thanks to a glass wall. "We wanted to be completely visible to everyone so they know the passion that we put in the food. There is no reason we had to hide anything," Shields said. According to the website, their menu is crafted to celebrate the bond between food and drink. They also offer seasonal and local ingredients. "It brings people together, it gives a sense of community. And its really shows on how you can really brighten up someone's day and set the mood for what people are feeling," said Shields. "Try unique dishes they've always wanted to try that are prepared with a little bit of Colorado flare." The restaurant opens daily at 6 a.m.